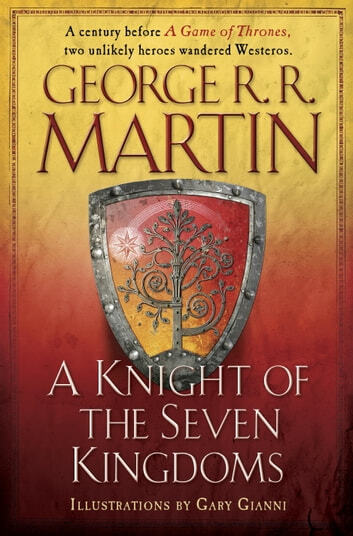 ***NEW YORK TIMES *BESTSELLER • Taking place nearly a century before the events of A Game of Thrones, A Knight of the Seven Kingdoms compiles the first three official prequel novellas to George R. R. Martin’s ongoing masterwork, A Song of Ice and Fire. These never-before-collected adventures recount an age when the Targaryen line still holds the Iron Throne, and the memory of the last dragon has not yet passed from living consciousness. Before Tyrion Lannister and Podrick Payne, there was Dunk and Egg. A young, naïve but ultimately courageous hedge knight, Ser Duncan the Tall towers above his rivals—in stature if not experience. Tagging along is his diminutive squire, a boy called Egg—whose true name is hidden from all he and Dunk encounter. Though more improbable heroes may not be found in all of Westeros, great destinies lay ahead for these two . . . as do powerful foes, royal intrigue, and outrageous exploits. Very enjoyable read but my only complaint is that it freezes my Kobo Aura. Tried several times to reset and reload but the book still freezes the Kobo probably because of all the illustrations. Works well on my laptop though. 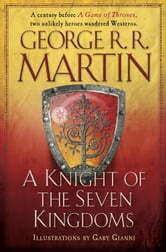 Nice to have more Seven Kingdoms background to read while waiting for the next GoT book to come out. Can't get enough Game of Thrones. I like reading about different times before Winter was coming, Great read. This is a nice collection of stories that add background and legend to the Westeros universe. It's a nice, fun read -- much more light-hearted than its GoT counterparts. I knew it will be a short story but I almost could not believe when I was done. You will feel the need for more. A must read for all fans of Game of Thrones. Another masterpiece by George RR Martin.